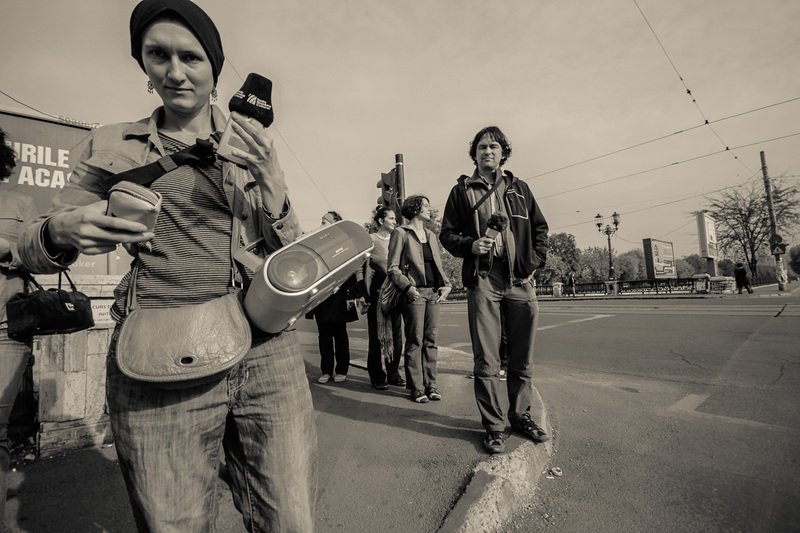 Maria Balabas is a Romanian sound artist, musician and journalist. She studied musicology at the National University of Music in Bucharest and obtained her Master degree writing about the role music played in the social evolution of the Radio. She is the moderator of 2 broadcasting programs at the Public Cultural Radio – Crossover Morning and The Sonorous Generation – and she is member of the EBU Ars Acustica Group and of Propuls Association, that promotes contemporary music. She documented the local scene of artists working with field recordings for the european platform Sounds of Europe (2013). As a solo artist, she is interested in developing narrative sound pieces based on field recordings. She had a residence in the Sound Delta project (2007) and has been invited in the project Landscape Choreography, Cluj, 2013. In 2012 she created the graphic score in the project Soundforrest (Viviana Iacob & Dslx, MNAC Anexa, 2012). Maria developed sound installations for Explore Dance Festival ( Pasarea care-si musca auzul - The Bird that Bites its Hearing, graphic and sound, 2012), the French Institute in Bucharest (La Madeleine Sonore, 2012) and Czech Centre (for the European Night of Literature, 2013). She also organizes the Sounds That Walk project. In 2013 she participated in Camp festival for visual music in Cluj-Napoca.